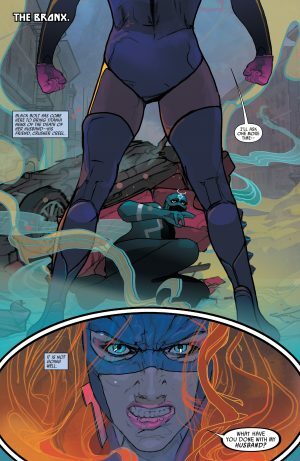 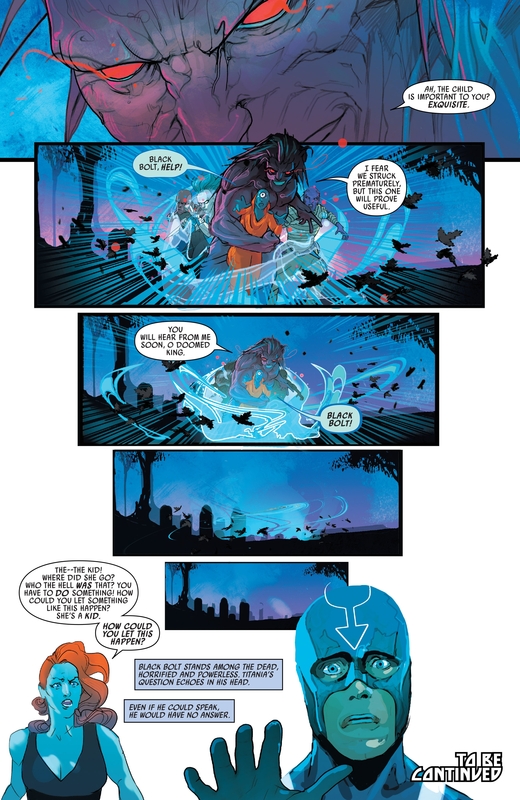 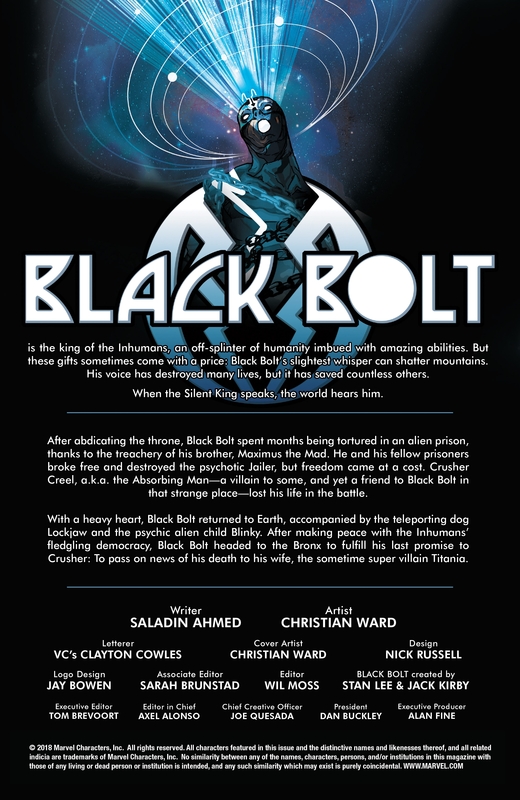 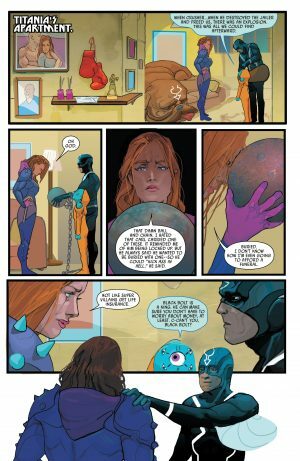 Marvel Comics Legacy and Black Bolt #9 Spoilers follow. 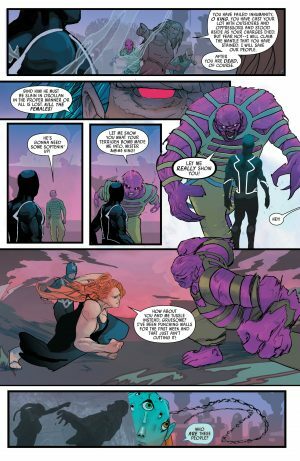 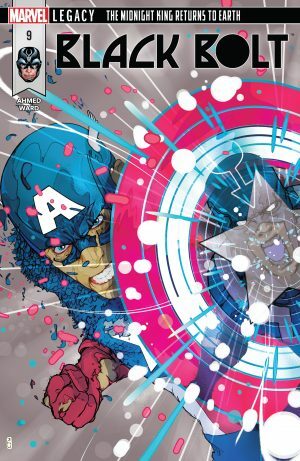 Inhumans Civil War As Captain America Eulogizes A Villain? We open with the usual catch up and creators’ credit page. Titania wants to know what happened to her husband the Absorbing Man! A fight ensures with Black Bolt, but the alien child Blinky reveals to her with his inner eye that Crusher Creel aka Carl aka the Absorbing Man died a hero freeing imprisoned alien children. Black Bolt promises to her financially deal with her husband’s death so she doesn’t slip back into villainy herself. 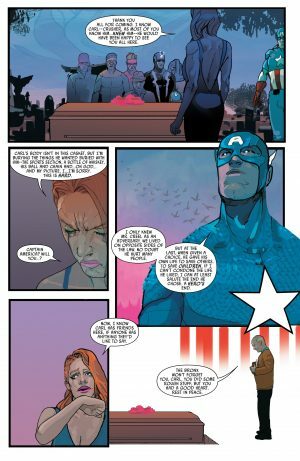 At Creel’s funeral, Captain America is there based on a false alarm. Cap is a bot self-centered and wants to explain the whole Secret Empire thing and that it really wasn’t him, but in his name. Titania, Blinky and Bolt really want to focus on the funeral; Titania asks Cap to say a few words because he fought her husband before and saw from Blinky’s inner eye how he died a hero. 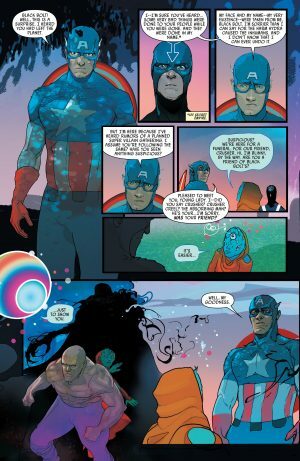 Cap gibes a stirring eulogy for the Absorbing Man. 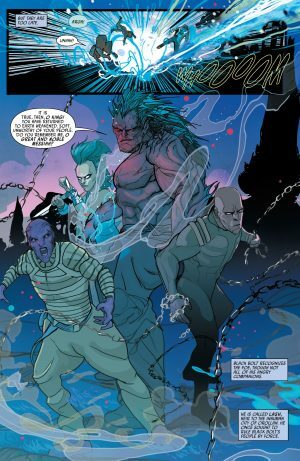 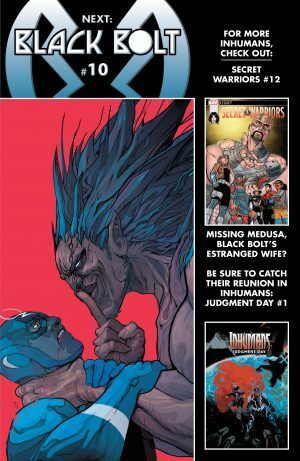 They’re attacked by Lash and his Inhumans companions who are after Black Bolt. They think Black Bolt is weak and a traitor to Inhumanity. 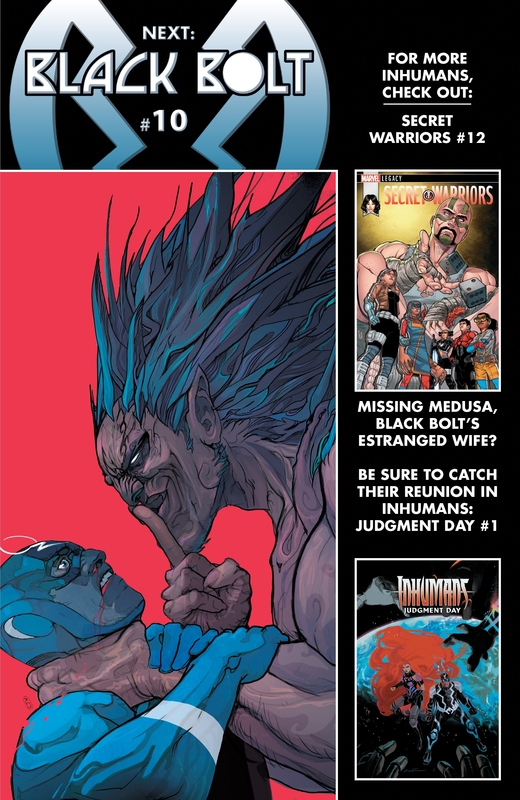 …Inhumans Judgement Day #1 is coming too!